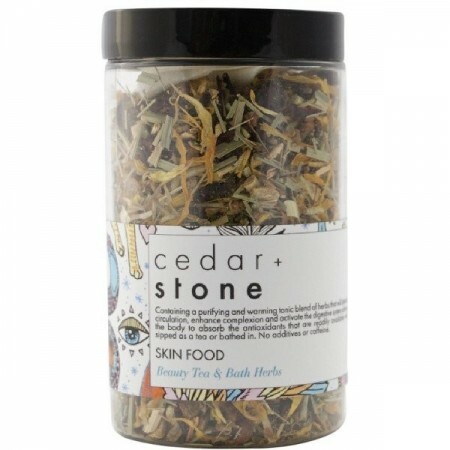 A herbal tea and bath herb melange for healthy skin. 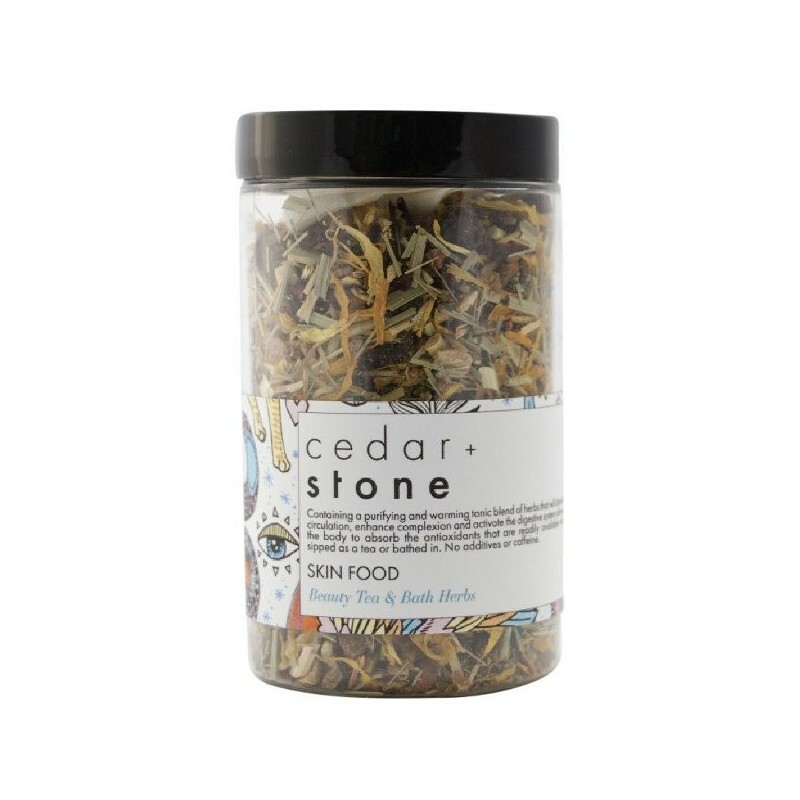 Containing a purifying and warming tonic blend of herbs that will stimulate circulation, enhance complexion and activate the digestive system allowing the body to absorb the antioxidants that are readily available when sipped as a tea or bathed in. No additives or caffeine. 40g. 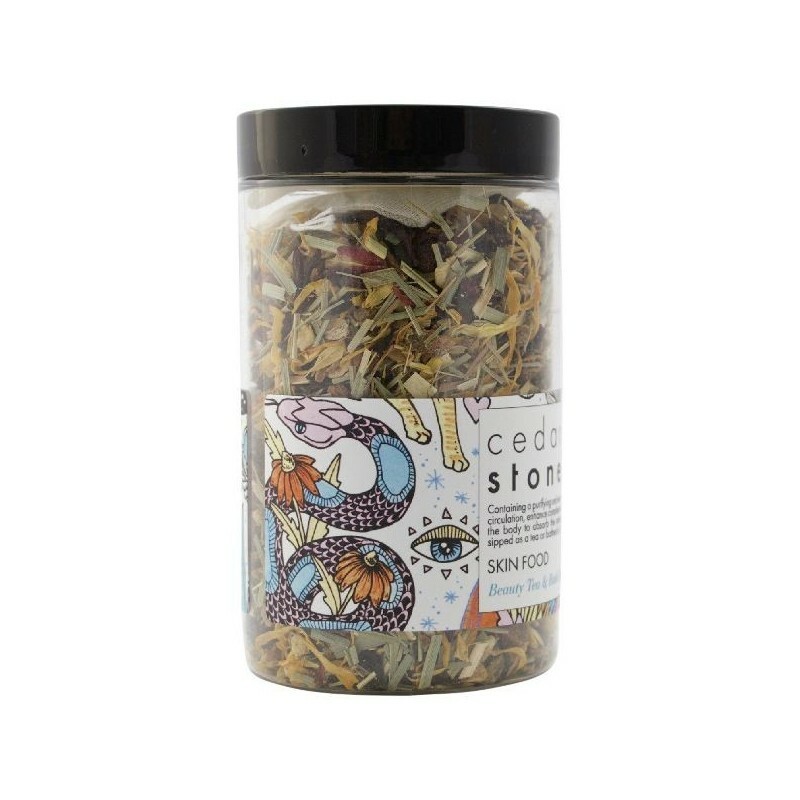 A warming and floral herbal melange. To drink: Steep a heaped teaspoon in hot water. Enjoy. To bathe: Add 3 tbs of herbs to the cotton bag provided. Steep 5-10 mins 100c. Pour into bath, bag and all and add a couple of drops of your favourite essential oil if desired. Comes with a reusable meslin bag and storage container. Ginger*, lemongrass*, hibiscus*, calendula petals*, cinnamon pieces*, hawthorne berries. *Organic ingredients. 40g. 11cm x 6.5cm. Reusable plastic container. Browse our other Cedar + Stone products. This would make such a great present. Delicious tea, Do need a lot for a bath, but is relaxing.